NOTE : This video is only for educational purpose. We are not responsible for any illegal activities. This video is only for educational purpose. We are not responsible for any illegal activities. 2) Copy Below Given Code And Paste It In Notepad. 4) Now open your save file and it will open three websites in a single click. 5) You can also add more sites by writing Start followed by websites. This module list and try to recover deleted files from NTFS file systems. Use the FILES option to guide recovery. Let it empty to enumerate deleted files in the DRIVE. Set FILES to an extension (Ex. “pdf”) to recover deleted files with that extension. Or set FILES to a comma separated list of IDs (from enumeration) to recover those files. The user must have into account file enumeration and recovery could take a long time, use the TIMEOUT option to abort enumeration or recovery by extension after that time (in seconds). This module exploits a code execution vulnerability in Mozilla Firefox 3.6.x and 3.5.x found in nsTreeSelection. By overwriting a subfunction of invalidateSelection it is possible to free the nsTreeRange object that the function currently operates on. Any further operations on the freed object can result in remote code execution. Utilizing the call setup the function provides it's possible to bypass DEP without the need for a ROP. Sadly this exploit is still either dependent on Java or bound by ASLR because Firefox doesn't employ any ASLR-free modules anymore. In this video you will learn DNS structure and how the DNS query and response packet works. NOTE : This video is Only for educational Purpose. We are not responsible of any illegal activities. The 'clearev' command will clear the Application, System and Security logs on a Window systems. There are no options or arguments. This video is Only for educational Purpose. We are not responsible of any illegal activities. After you have exploited a system there are two different approaches you can take, either smash and grab or low and slow. Low and slow can lead to a ton of great information, if you have the patience and discipline. One tool you can use for low and slow information gathering is the keystroke logger script with Meterpreter. This tool is very well designed, allowing you to capture all keyboard input from the system, without writing anything to disk, leaving a minimal forensic footprint for investigators to later follow up on. Perfect for getting passwords, user accounts, and all sorts of other valuable information. 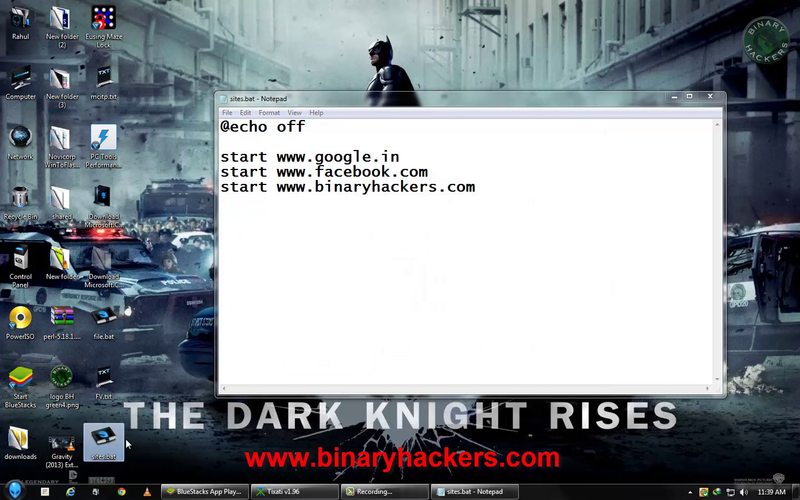 Binary Hackers is a free video tutorial website. You can watch videos of Networking , Programming, hacking and server for free. We will give our best to doing video demonstration so you can learn easily. All videos on binary hackers are educational purpose only.We are not responsible for misuse of our videos and article.